A review of Annuity Investors Health Insurance Company leads to Great American Financial Resources of which Annuity Investors is a subsidiary. Subsidiaries rely on the reputation and financial backing of the larger company to help them sell insurance policies and create a customer base. They do not provide personal health insurance. If you are looking specifically for health insurance, enter your zip code in the free box now to compare health insurance rates from several companies. What has become Annuity Investors was started in 1940 by two brothers and a sister who started a dairy store in Ohio. The name of the store was United Dairy Farmers. From there they began to insure items for dairy farmers and finance the needs for small farms. Since then, the company has grown to a full financial and insurance product company licensed in almost every state. 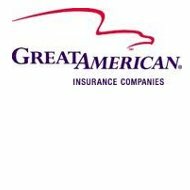 Annuity Investors joined Great American to further grow their customer base and increase their insurance products and knowledge. Great American has been in existence for over 130 years and is a publicly traded company. For the last 20 years, it has consistently grown in earnings, assets, and a cash base. A.M. Best is an independent insurance rating company that rates the financial stability of insurance companies. The ratings are letter grades much like you would receive on a report card. Annuity Investors has consistently received an A rating which is an excellent rating, which means that the company has been found to be financially stable. Annuity Investors sells insurance products to a very specific group of people. The company focuses solely on public school district employees and employees of non-profit organizations. These types of employees often do not have employer-matched retirement packages, so all their retirement investments are from their own income. For these specific groups of people, Annuity Investors offers variable, indexed, and fixed retirement annuities. A variable annuity allows the investor to choose a variety of investments to put their money into. This includes both low and high-risk investments. It has the most risk but has the potential for the most reward as well. A fixed rate retirement annuities gives the investor a fixed rate of return no matter how the investment does in the market. This is the safest type of investment but also has the least room for reward. For example, if your fixed rate is 8% you will get 8% return on your investment whether it makes 4% or 12%. Therefore, while you do not lose money if the return is low, you also do not gain money if the return is high. The gain goes to the company. Indexed retirement annuities combine some of the aspects of a variable and a fixed rate annuity. These annuities are set by the index of the market so they have more risk and reward than a fixed rate but less risk and reward than a variable rate. If the market index falls, so does the reward but if the market index rises, so does the payout. Career opportunities with Great American Financial Resources are sent out from two main offices. One is located in Cincinnati, Ohio and the other is located in Austin, Texas. Annuity Investors hires people to fill a variety of positions. These positions include jobs in the office, insurance sales, and leadership/management positions. Some examples of the types of jobs Annuity Investors offers are office support, call center representative, accounting representative, architects, project managers, actuaries, insurance sales, phone sales, and field sales. All positions begin with an online application, followed by a phone interview, and concluded by an in-person interview. Employment locations are also available in Alabama, Arkansas, Arizona, California, Colorado, Connecticut, Washington DC, Delaware, Florida, Georgia, Iowa, Idaho, Illinois, Indiana, Kansas, Kentucky, Louisiana, Massachusetts, Maryland, Michigan, Minnesota, Missouri, Mississippi, North Carolina, North Dakota, Nebraska, New Jersey, Nevada, New York, Oklahoma, Oregon, Pennsylvania, Rhode Island, South Carolina, South Dakota, Tennessee, Utah, Virginia, Washington, Wisconsin, and West Virginia. Annuity Investors also requires employees to sign a social contract that has been drafted by the company. This contract outlines how the company and employees are expected to interact with one another. It includes communication guidelines, teamwork expectations, accountability, honor confidences, how to react to criticism, and more. Employees are held to this contract.